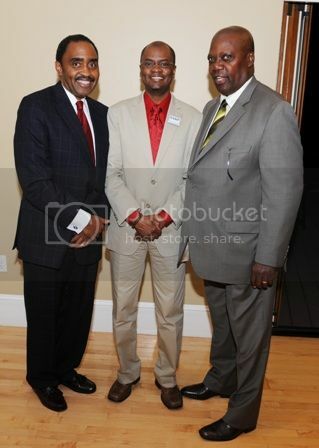 SAN FRANCISCO - On Wednesday, October 12, 2011 at the Silicon Valley Community Foundation conference center in San Mateo, nonprofit, business and philanthropy leaders gathered for the Bay Area Blacks in Philanthropy’s (BABIP) “State of the Race” conference. The theme of the conference was “Beyond the Neighborhood: African Americans Competing in the Regional Economy.” The conference opened with greetings from Cedric Brown, Chair of BABIP and Eleanor Clement Glass of the Silicon Valley Community Foundation. The first plenary session focused on 2010 census data and black population trends in the Bay area; regionalism, jobs and economic development in the Black community; and employment and business opportunities in the region. The second plenary session discussed models for employment and entrepreneurship which included worker owned cooperative models, employment focused social enterprise and tech based start-ups. The afternoon sessions were concurrent workshops that focused on tools for actions which included technology, policy advocacy and framework for effective and responsive philanthropy in the Black community. Presenters at the conference included: Angela Benton, CEO of BlackWeb 2.0 and Co-Founder of NewMe Accelerator; Allen Fernandez-Smith, President and CEO of Urban Habitat; Ted Howard, Steven A. Minter Fellow at the Cleveland Foundation; Mary Lee, Associate Director at PolicyLink; Dr. Steven Pitts, Labor Policy Specialist at UC Berkeley Labor Center; Jason Trimiew, Director of Business Development at REDF; and Junious Williams Jr., CEO of Urban Strategies Council. The conference was co-sponsored by the Silicon Valley Community Foundation, Northern California Grantmakers and Urban Strategies Council. 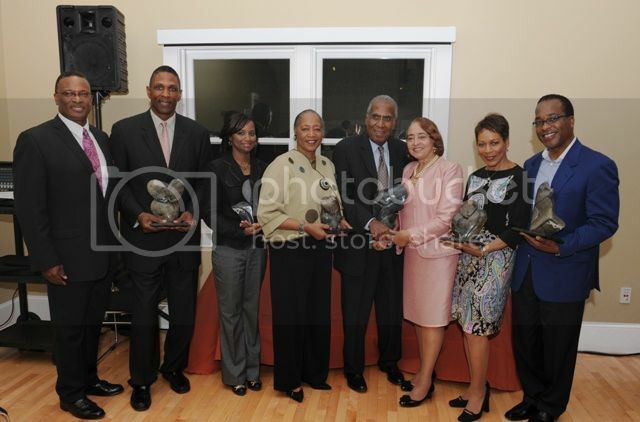 Following the conference, the “Celebrating Black Philanthropy” Gala Reception recognized leading Black philanthropists in the Bay Area with the 2011 Community Impact Awards. KTVU’s Morning News Anchor Dave Clark served as Master of Ceremonies, which took place from 6 to 9 p.m. at Stanford University’s Black Community Services Center. Music for the welcome reception and a performance of Duke Ellington’s “Come Sunday” was provided by Marcus Shelby. This year’s honorees are: Gloria Rhodes Brown, retired, former Director of the University of California Cooperative Extension Service for San Mateo and San Francisco counties; Michael C. Bush, Founder of The MattMar Group Inc.; James Lowell Gibbs, Stanford University’s Martin Luther King Jr. Centennial Professor of Anthropology Emeritus; Dr. Jewelle Taylor Gibbs, author and retired Zellerbach Family Fund Professor of Social Policy, Community Change and Practice at UC Berkeley; Valerie Coleman Morris, leading financial literacy journalist and author; Keena Turner, Vice President of Football Affairs for the San Francisco 49ers; and Verizon Wireless. 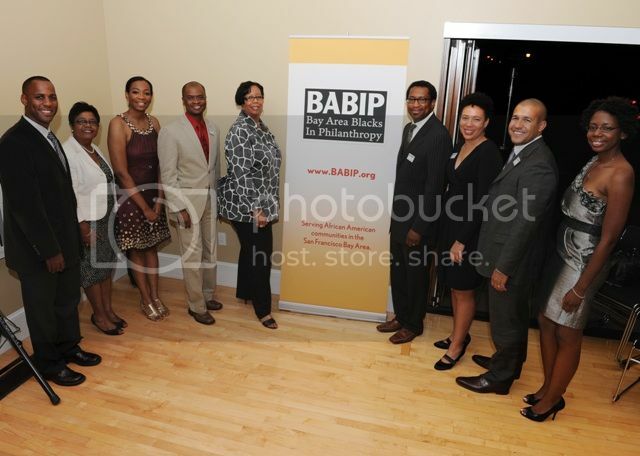 BABIP is a regional, nonprofit membership organization that works to advance the interests of African Americans in philanthropy, and to address the impact of racial disparity within philanthropic institutions and African American communities in the San Francisco Bay Area. http://www.babip.org/.